I worked for Cannon Mills in their NY office in the ’70s. I still have towels from that job that are in excellent condition without fading. They were demoted to my weekend house 15 years ago because all the browns and oranges of the era looked better in the more country style of the house. All the deep tones of these towels are still intact 35 years later. I gave away so many towels and sheet sets because I just got tired of looking at them which I now regret . 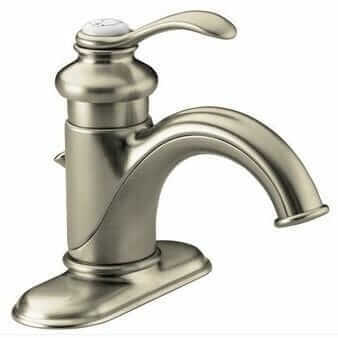 Nothing is comparable in quality (unless you spend a fortune) to the towels that were manufactured for their so called value/low end line, Monticello, much less their luxury line Royal Cannon. I still have a few terry distowels from that era that are still going strong and unfaded despite hot water bleach and hot dryers. 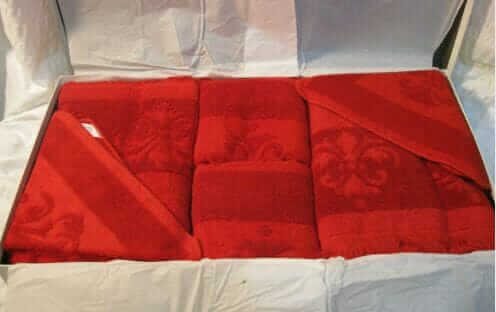 One of the things I look at when I hit a tag sale are towels, if they were made in the US, I will buy them if they are in decent shape. 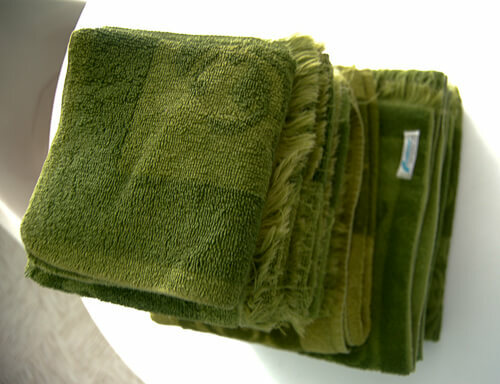 These were my #1 favorite finds — vintage Fieldcrest towels, in avocado. They match my bathroom. I got 3 bath towels, 4 hand towels, a bath mat and a washcloth for like $5. YAY! Vee — I absolutely agree. At the summer’s best estate sale, I also found a set of vintage bath towels — Cannons, in an avocado jacquard — dirt cheap. I am using them. They are terrific. I have one St Mary’s towel in a dark brown. I just love that towel!! I wish I could find more St Mary’s. 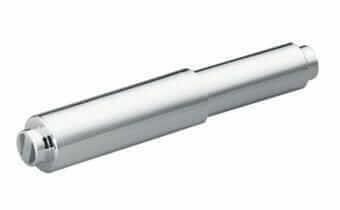 Hi just found your site. Years ago my grandmother would buy al lher grandchildren fieldcrest or cannon mill towels for Christmas. I live in Australia. She would buy them from a lovely store, David Jones, I spent time when I can looking for similar, contemporary ones. These towels would last for years I still have some of my mother’s that are pink jacquard ones with roses. I wish, do I wish that one could get similar towels today. I spend time hunting on the internet and I have found lovely jacquard ones that are white with one colour. These other towels from that era were something else. Either we would get traditonal or lovely bright coloured ones suitable for teenagers in the 60s. 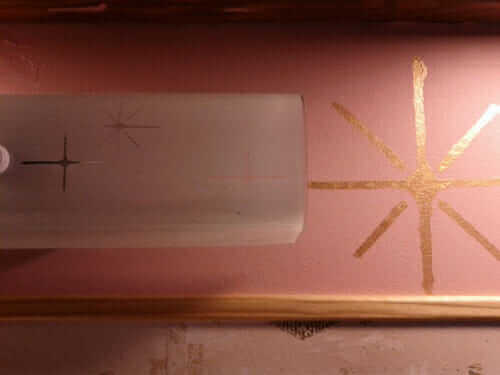 Can’t some towel company re-make these? For years now in Australia the only towels available are just plain coloured ones, I am now adding to my towel collection of some contemporary, good quality jacquard ones. Not the same though. I was spoilt when I left home and went to university and was in a shared house, the others would comment on the beautiful towels, I didn’t know anything else at that time. I do now. Please some towel maker, there is a market for these!! I remember thinking my dad was a little crazy growing up. We used the towels that his parents had gotten as a wedding gift in 1933. They are Cannon Royal Family. I guess my dad’s grandfather managed a cotton mill in North Carolina that later became a Canon mill. The bath towels were mended until they couldn’t be mended any more but, the hand towels look pretty great and are in regular use in my household. My kids are growing up with them now LOL. Three generation towels. What a great story! Thanks, Liz! Would dearly love to find some of the Flamingo bath towel sets. Would love a few of just the towels. Aunt Mae had three sets of them and they’re beautiful. Just can’t find any others to fill my closet!! I keep looking though! 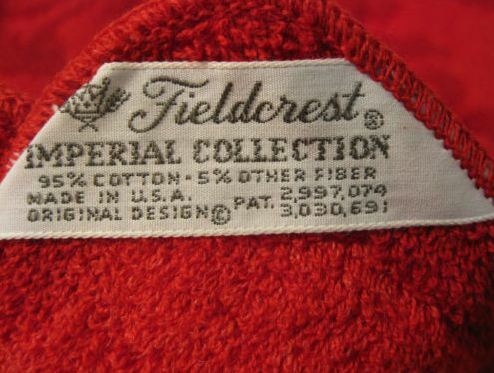 I love the original Fieldcrest towels and I trying to find out if there is a place I can buy them. etsy and ebay — they ARE around!